In my travels, I have found some cool organizations that support kids, communities, and/or artists. a trail through poetry, art, music, stage and screen. Great stage entertainment & multi-time Ovation award winner. Check out the colony & support the arts. 'Justice by Uniting in Creative Energy is a non-profit outreach bringing the positive energy of Hip Hop to LA(in Koreatown). 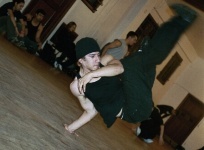 This forum has local & guest DJ's, Break Dancing, Urban Art Workshops and other programs. Invitation to Juice is free to kids, young artists and adults. Come down and find out more. an ever expanding network of artistic collaborators, entrepreneurs, and socially conscious individuals committed to the Stranger Vision of empowerment through performance. 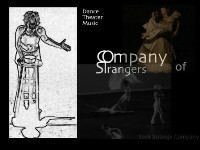 Making Faces Prod, Focus Fish Studios, Now feel this Music, Collage Dance Theatre, and Jillian Speer Music.